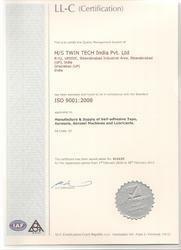 Established in the year 2004, we 'Twin Tech India Pvt. Ltd.' are world reckoned manufacturers and suppliers of best quality spray products, industrial aerosols, and specialty tapes. Backed by cutting edge technology these precision engineered spray products find application in diverse industrial applications. 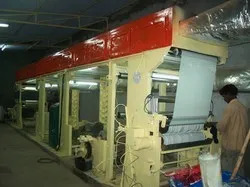 Located at Ghaziabad (Uttar Pradesh, India), we are led by our Director, Mr. P K Sharma, who has with him years of rich experience in this industry. Under his single-minded approach, business acumen and persistent motivation, we have established our strong presence in the domestic and overseas markets. Quality and innovation play a pivotal role in our organization. In order to meet the highest performance standards, our spray products undergo rigorous quality checks, which are conducted in modern test laboratories. Our research and development wing is also continuously engaged in carrying out extensive research that helps in improving features of existing products as well as in developing new product range as per the emerging demands of the markets. No. H - 75 - A, Sector - 12, Pratap Vihar, Near Santosh Medical College, Ghaziabad - 201 009, Uttar Pradesh, India. Manufacturing, Trading, Importer AND Exporter of Spray Products, Industrial Aerosols And Specialty Tapes. Our spray products are specifically designed to help eliminate costly delays, speed repair time, reduce labor costs and make the job easier and faster. 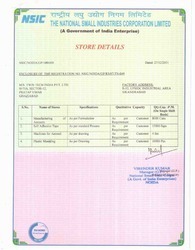 We also offer our clients expedite after sale services. Quality is not merely a buzz word for us, but it is the driving force, which propels us to attain our mission of total customer satisfaction as well as survive in today's competitive market scenario. We have adopted a stringent quality procedure into the organization's culture. 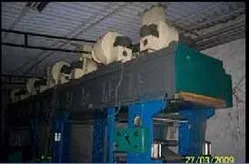 This quality procedure is monitored at each stage, which starts right from the procurement of raw materials and continues till the final delivery of industrial sprays and solvents. Our business operations are empowered by sophisticated infrastructure, which is backed by latest machines and process tools. Spread over a large area, our manufacturing unit also makes us capable of efficiently handling bulk orders of clients on short notice periods. Moreover, we also boast a spacious warehouse unit, which allows us to store raw materials and finished products in a proper condition. This warehousing unit possesses all modern facilities to protect the stored items from moisture as well as from any external damage. To offer clients best quality spray products, industrial aerosols, specialty tapes and after-sales services that too at cost effective prices. Over a span of years, we have carved a niche for ourselves in both domestic as well as overseas market and the credit goes to our highly energized & well-experienced team. It comprises of technocrats, engineers, service engineers, quality control personnel, research and development personnel, marketing representatives etc. Each and every member of our team continuously strive towards utilizing better ways and new technical approaches to meet clients specific product needs. Further, with the purpose of nurturing their skills, we also organize necessary training sessions from time to time, which assist them to work more effectively as well as keep pace with ever-changing technology. Avail from us an enthralling range of industrial solvents and tapes, that are exquisitely designed with Perfect luster, Flawless finish and Smooth edges ensuring the best products for our clients. Moreover, our range of products is designed by our adroit professionals, who bring forth an outstanding range of spray products for the clients.